Most people just wait until they can’t stand the sight of their carpets any longer before they think about cleaning them. This is a problem for a couple of reasons. We here at OxiGreen Carpet Cleaning and Repair would like to spell those reasons out for you. When you come in and out of your house, little bits of nature come with you. Unfortunately, they are not ones that are welcome in our homes. Dust, pollen, bacteria, and even mold spores can enter our living space on our clothing and shoes. They can even blow in when the windows and doors are open. The fact is that they settle in your carpets fibers. In a way, that’s great…temporarily. They are no longer floating in the air. However, they are building up in your carpeting. The worst part is that your vacuum cleaner and the average carpet cleaner are not powerful enough to remove these pollutants from your rugs. Dirt breeds dust mites, which only worsens the problem. Over time, the air quality in your home becomes seriously affected. This in turn can affect the breathing and health of your loved ones, even your pets. Cleaning your carpets regularly will improve your health, make your house look much nicer, and will actually prolong the life of your carpeting. 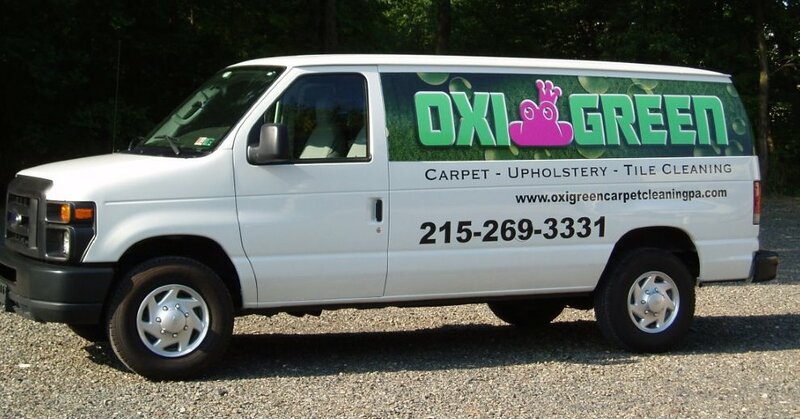 Why not call in the professionals at OxiGreen in Bensalem, PA and restore your carpets to a fresh and clean state? We here at OxiGreen in Bensalem, PA can be reached at 215-269-3331. Our friendly customer service reps are available to take your call, answer your questions, and give you a free quote. Also feel free to visit us online at http://oxigreencarpetcleaning.com to learn more about our 100% green cleaning method, our 100% satisfaction guarantee, and our money saving package deals. For a thorough, professional carpet cleaning, give OxiGreen a jingle today! !